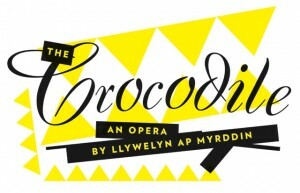 Leandros is delighted to have been cast in the role of Semyon in The Crocodile by composer Llywelyn ap Myrddin, with performances at Riverside Studios, Hammersmith on Thursday 15 and Friday 16 August 2013 at 20h50 as part of Tête à Tête the opera festival. Based on the short novel of the same name by Dostoyevsky, The Crocodile tells the story of the showing of the great beast at a great high society party in St Petersburg University at the turn of the twentieth century. Surrounded by his acolytes, Dr Philip Philipovich and his chums Semyon and Ivan are hard at work finalising the last details of a press conference when disaster strikes and Ivan is eaten whole by said Croc. What are Philip and Semyon to do? How will they explain what has happened, and how will they get it past Ivan’s diva wife Elana? It is a sharp and witty study of what happens when the logic of progress and culture starts to crumble around us and we refuse to accept our fundamental desires. Directed by Alex Sutton and conducted by John Murton.